Home / Unlabelled / How to Shutdown Victims Computer Using Pendrive? How to Shutdown Victims Computer Using Pendrive? Here is a Trick to Turnoff Your Victims PC Using Pendrive! Follow the Steps & Had some Fun!! 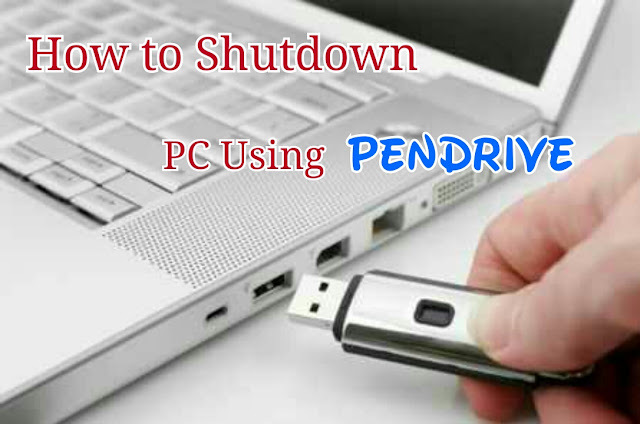 How to Shutdown PC using Pendrive? - don't forget to change the "filname.bat" with your filname.bat. • Now copy the two files in your pen drive or victim's pen drive. • That's all whenever the victim insert his pen drive,the system will be turned off automatically.